"Dukhovskoy Kruglik" – a guest from the past. 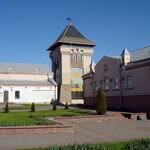 Walking through the center of Vitebsk, we cannot catch our look of the building of Exhibition Hall "Dukhovskoy Kruglik". Near modern Summer Amphitheatre, it looks like a guest from the past, although it has successfully disguising as modern. That wind has brought it here? 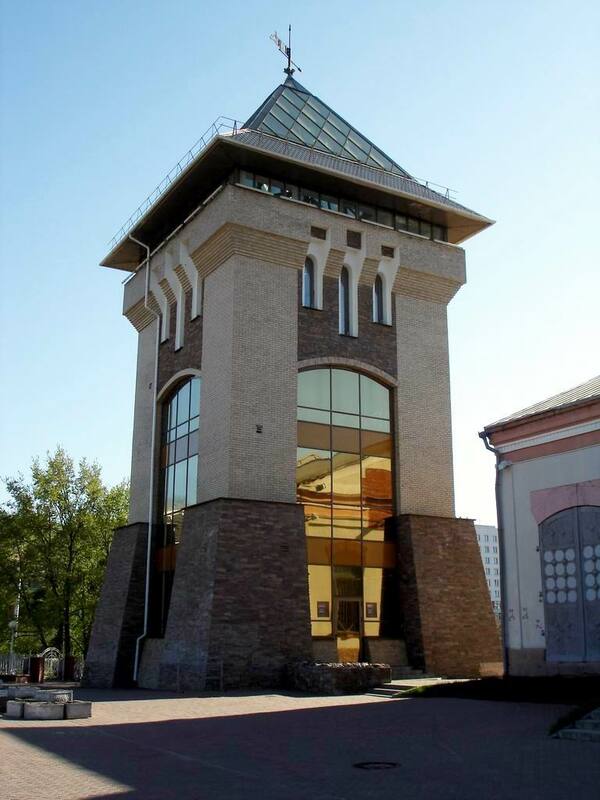 The building of "Dukhovskoy Kruglik", which we can see now, next to Freedom Square in the city of Vitebsk, cannot be called a copy of the watchtower, built in the times of Olgerd. This is an artistic reconstruction of a typical tower of the XIV century. People familiar with the medieval architecture of Vitebsk, will see some specific features, the same counterforces, monumentalism of the building... But this is an entirely new cultural object in Vitebsk: a high (27 meters), five-level building, huge windows with glass units (the progress does not stand still), an observation deck under a glass dome of the tower, a very light in any weather and spacious building... "Dukhovskoy Kruglik" became such in 2007 by architect Ruslan Lyadenko. 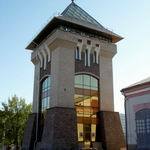 Saving the characteristic form of a watchtower, he made it modern, live, just decorating the views of Vitebsk. Start you tour in Vitebsk from "Dukhovskoy Kruglik", because it is located near many other worthy attractions of Vitebsk. Certainly visit City Hall, still it is a symbol of the independence of the city and just a very interesting place where you can spend the whole day. 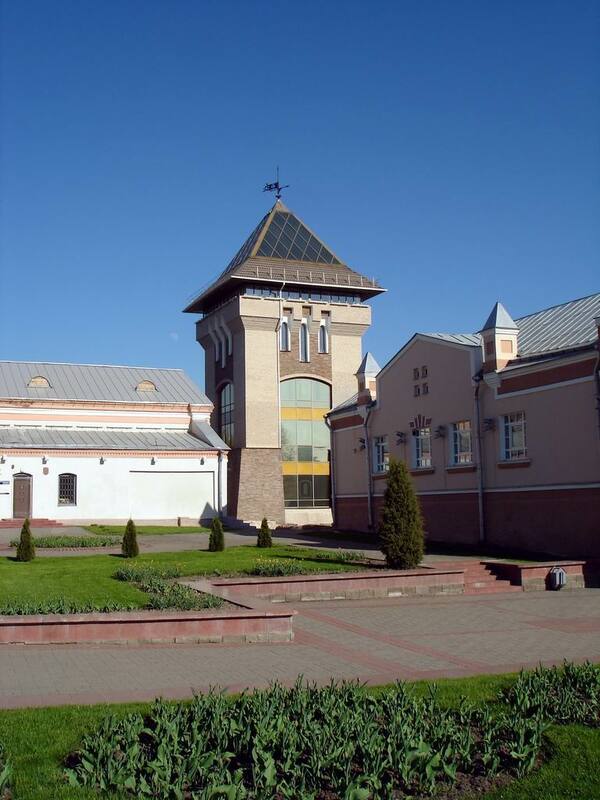 Yakub Kolas Drama Theater, one of the most famous theaters in Belarus, the Art Museum, the Museum of Private Collections - all is located just a ten minute walk from "Dukhovskoy Kruglik". Works on any day except Monday and Tuesday (though these days you can visit the exhibition hall, preliminary agreed by making a call +375 212 358138) from 10.00 AM to 6.00 PM.